Your home represents a major investment of both time and money. Applying asset protection strategies to limit liability is a smart way to protect yourself while keeping your insurance payments low. 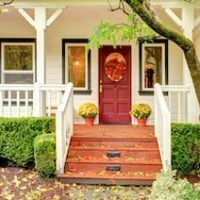 As experienced New York real estate attorneys, we know that while it is common for homeowners to complete certain upkeep tasks in the spring, it is also important to perform maintenance in the months leading up to winter as well. Now that the weather is cooler and the leaves have begun to change, the following offers some tasks to complete throughout the fall months. All those beautiful fall leaves can quickly clog gutters and require regular cleaning. Adding some extra insulation and caulking around doors and windows will keep your home toasty while lowering your winter heating bills. Nothing is worse than busted water pipes. Wrap them now so a sudden cold snap does not take you by surprise. Consider rearranging furniture to avoid blocking heating vents and to allow better circulation. Check for any damages or areas that need pathed on your roof now, before icy makes climbing up there treacherous. If you enjoy decorating for the holidays, consider using one of the warmer weekends now to put out lights, rather than waiting until the temperatures dip. Make there are no trip hazards due to holiday decorations you do put out. In addition to protecting yourself against liability, protect yourself by securing outdoor items, such as lawn furniture and recreational equipment, and install motion sensor lights along the sides and back of your property. At Cavallo & Cavallo, we offer solutions for all the potential concerns real estate owners face, whether it comes to protecting your property or finding the home of your dreams. Contact our New York real estate attorneys today and request a consultation in our Bronx or New Rochelle office to see how we can help you.